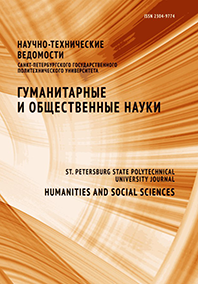 The paper presents an overview of the 9th International scientific theoretical conference “Communicative strategies of the information society”, which took place in October 2017 at Peter the Great St. Petersburg Polytechnic University. The wide array of urgent issues discussed at this conference brings together representatives of intellectual circles of humanitarian knowledge from Russia, Kazakhstan, Estonia, Italy and the United States. The participants of the conference focused on the issues of conceptual integration of scientific research on the problems of socio-cultural dynamics and communication processes taking place in modern society. The interdisciplinary synthesis of communication research makes it possible for the intellectual community formed by the subject of the conference to successfully cope with the task of developing a unified methodological base of research and the problem of designing modern social technologies of communication interaction. The conference was concluded by a discussion on the constructive relationship between science and education, the preservation of the intellectual and moral potential of modern society. The conference papers have been published in the Proceedings of the 9th International scientific and theoretical conference.